Photos courtesy of the Philadelphia Streets Dept. In just two short months, Philadelphia’s Streets Department has already filled 17,298 potholes across the city in 2018. Yes, that figure is totally accurate, and we can’t believe it either — that’s a whole lotta tar! The department classifies pesky street recessions in three categories: potholes, cave-ins, and ditches. A pothole is defined as a bowl-shaped opening up to 10 inches deep. While we all know of potholes that seem to never get fixed, the agency actually guarantees that requests reported before 2 p.m. on a given day will be repaired within three business days. On some roads, however, like the winding Lincoln Drive, potholes can accrue at a rate that requires consistent attention from Streets Dept. work crews. According to Richard Montanez, Philly’s deputy commissioner of transportation, the Streets Dept. has filled approximately 540 potholes on Lincoln Drive between Ridge and Wayne avenues since January 1st. Montanez tells Philly Mag this figure is not inordinate when considering how long a stretch of the road was repaired and its high volume of traffic. The return of a real winter also played a further role in the breakdown of our city streets. “Because of the drastic changes in weather with an early freeze and incidents of thawing, the pre-existing condition of the roadway, and the volume of cars on Lincoln Drive, we have experienced an increased number of potholes,” agency spokeswoman Crystal Jacobs said in a release. 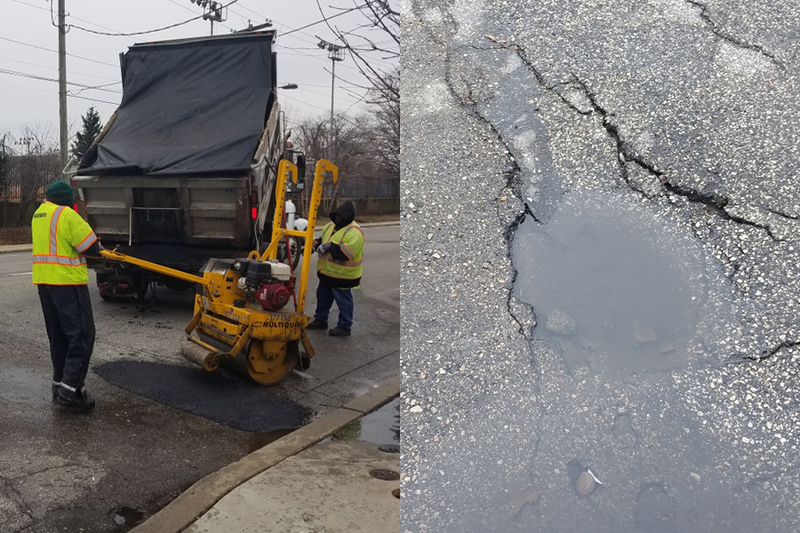 Jacobs tells Philly Mag that crews will “continue to aggressively repair” any street defects on Lincoln Drive (and beyond) as temperatures improve. This basic roadwork is not linked to the Streets Department’s long-term plans to repave and resurface Lincoln Drive. That project (and its $7.6 million in available funding) will soon be awarded to a contractor in the coming weeks, Montanez says. The agency’s goal is to mill and resurface a 2.2-mile stretch of the Drive by laying down new asphalt that would last seven to 10 years.